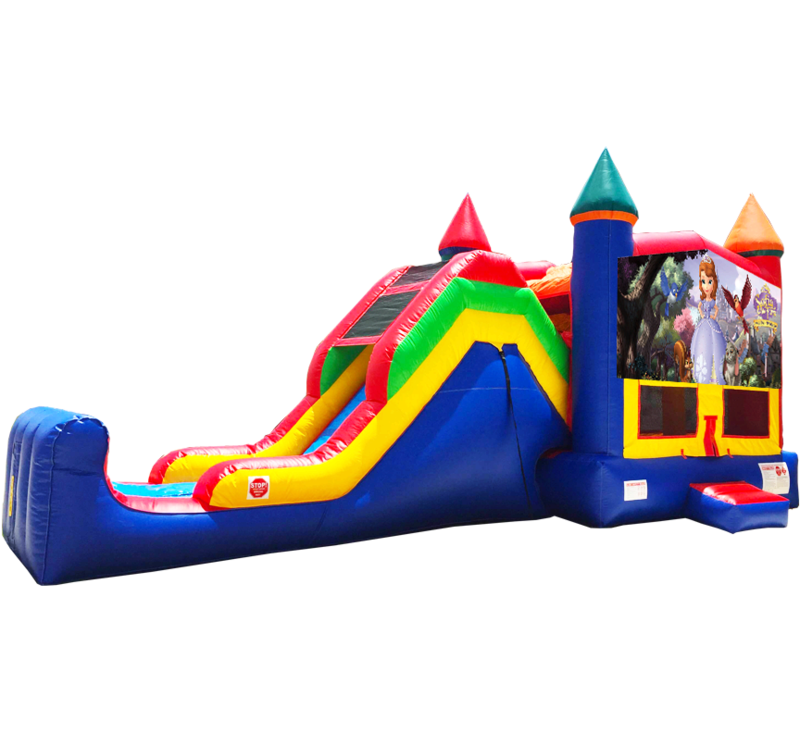 Recreate the kingdom of Enchancia in your backyard (or front) by inviting Sofia and her friends to the party! This lovable princess is ready to delight your little girl with all the magic and wonder that her birthright! This vivid and colorful super combo features all of the current safety options to give you peace of mind while the little princess have a joyous time! Need Sofia the First themed plates, napkins and party favors? Click here!